TheBlueGuerilla: Blairite MP Quits & Walks Out on Red Ed. The war between the Blairites and the Junior Brownites in Labour has reached fever pitch. tbg can exclusively reveal this morning that the latest Blairite to kick up a stink is Stoke MP Robert Flello. Despite saying publicly that he backs Red Ed, tbg understands that Flello has told Miliband that he wants to focus on "other Parliamentary interests" and sensationally quit as Shadow Minister. 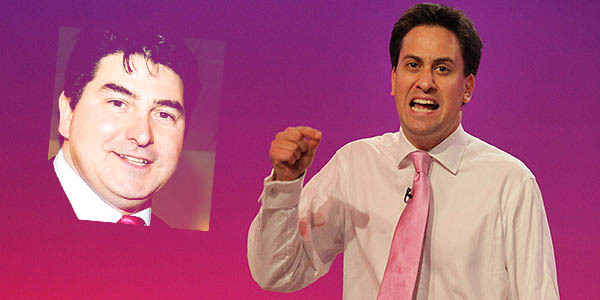 Flello is close buddies with Ed Balls and it's not beyond the realms that it cold all be part of a briefing campaign to bring Miliband down and replace him with Yvette Cooper, so as to save the party from a 1983 style thrashing in 2015.